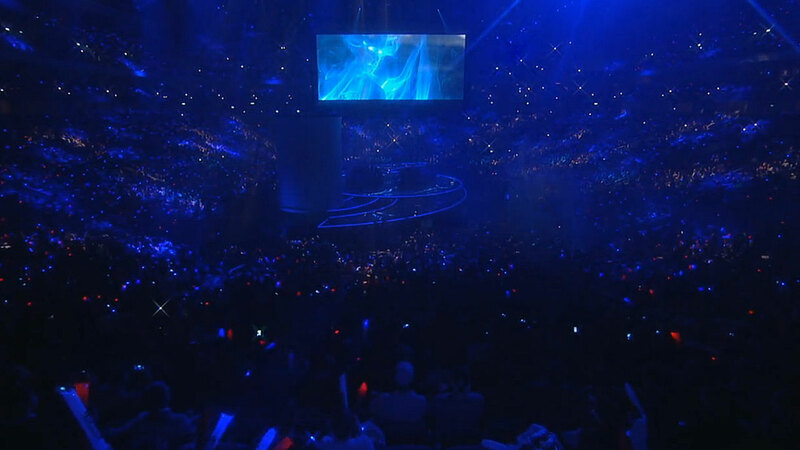 Over 11 million people concurrently watched the League of Legends World Championship last year, and LoL is only one game among many. DotA 2, StarCraft 2, Heroes of the Storm, and Counter-Strike all garner consistently high viewership, and fighting games like Street Fighter and Super Smash Bros. are steadily growing thanks to their strong grassroots communities. But what about engagement? Looking further into the viewership statistics for LoL Worlds 2014, the average time watched per-viewer was only 67 minutes. Considering that the broadcast was over five hours long, it seems that most people aren’t paying very close attention to what’s happening. But this relative lack of engagement isn’t surprising, because League of Legends is a terrible spectator game. For just a moment, let’s simplify this and use Chess as an example. Chess is a great game, but to a casual viewer, it’s very difficult to understand. They’re aware that the various pieces seem to be able to move differently, but they don’t know what those movements are, or why the players’ decisions are significant. Without a detailed understanding of the game’s mechanics, the viewer will find little interest in spectating. Essentially, the viewer needs to know how to play Chess in order to enjoy watching it. 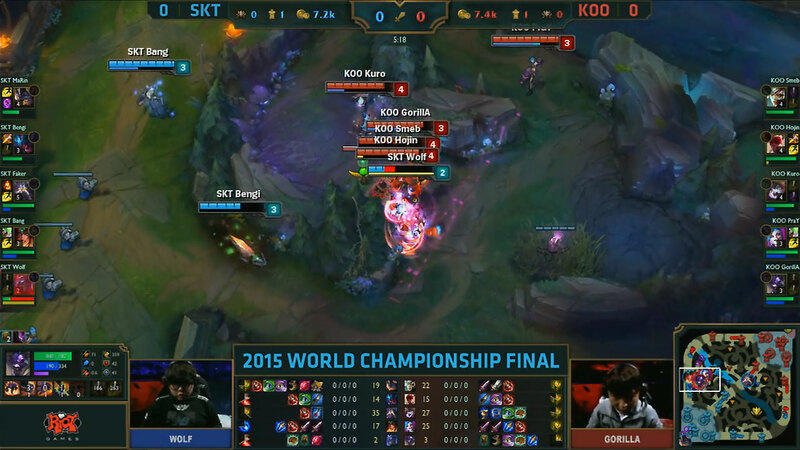 Now, let’s look at a screenshot from the 2015 League of Legends World Championship Grand Finals. This isn’t even a particularly busy moment. With so many things onscreen, how does the viewer know what to focus on? It’s clear that there is a red team and a blue team, but what is each player doing? Most of them are covered up by the health bars, so you can’t even see what actions they’re taking. 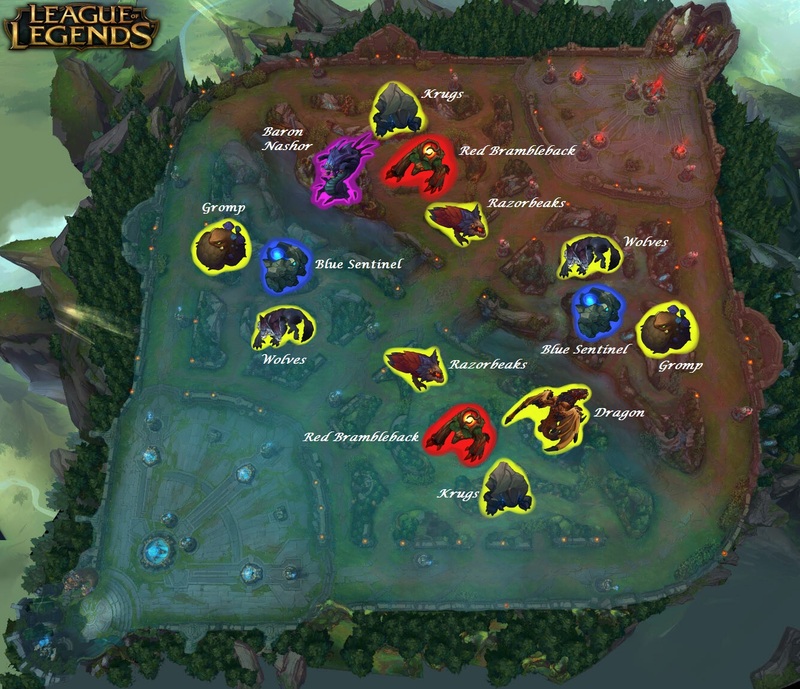 The viewer needs to pay attention to Summoner Spells, ability cooldowns, player levels, item purchases, masteries, map positioning, towers and structures, wards and vision… the list goes on. And we haven’t even talked about The Jungle yet. Good luck explaining Baron, Dragon, and all of the other minutia that lives in The Jungle to an inexperienced viewer! There’s no way for a viewer to visually intuit those things. They’re forced to seek out that information from an external source. All of this detracts from the viewer’s ability to focus on the gameplay, which isn’t very straight forward to begin with. Last Hitting is incredibly awkward and counter-intuitive, warding is poorly explained and incredibly tedious, guard towers have no visual indication of range and strange target priority… once again, the list goes on. To anyone who hasn’t already put a significant amount of time into playing League of Legends, the whole thing is a complex and confusing mess. Although, to be fair, most MOBAs are just as awkward and confusing. It’s practically a hallmark of the genre. 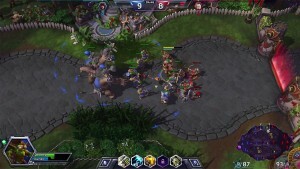 Gazlowe with an Ogre Siege Camp in Heroes of the Storm. In League of Legends, what does defeating Baron Nashor or The Dragon do? Answer: it grants a buff to your team and friendly units, the effects of which each take an entire page of a wiki to explain. In Heroes of the Storm, what does defeating the Ogres or the Knights do? Answer: it causes Ogres or Knights to fight for your team. Once the viewer sees a pair of giant Ogres throwing stones at the enemy’s structures, no further explanation is needed. 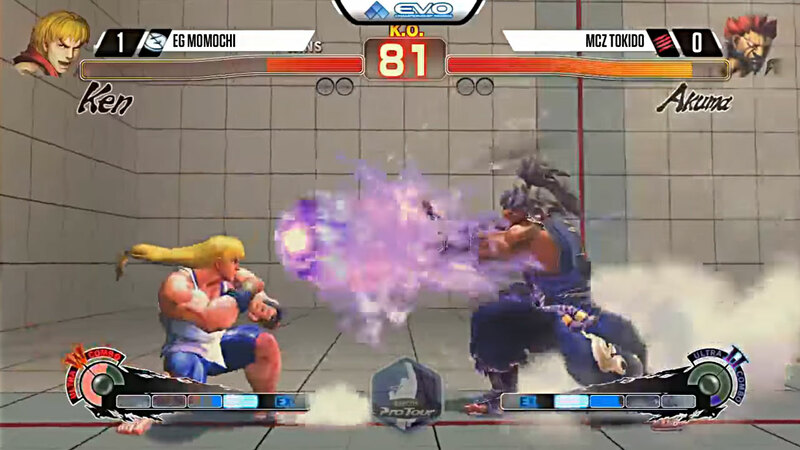 Let’s look at Street Fighter 4 now. Notice how much simpler the user interface is–there are only a few things vying for the viewer’s attention. The health bars and the timer at the top of the screen, and the super and ultra meters at the bottom, are the only major focal points on the UI. This allows the viewer to pay more attention to the interactions of the characters. The slight curve in the middle of Street Fighter 4’s health bars allows viewers to easily identify the half-way point of a character’s health. Street Fighter 4 is an incredibly complex game with deeply technical concepts. Option selects, auto-corrects, plinking, 1-frame links… not to mention 44 unique characters, each with numerous special moves and attacks. And yet, all a viewer needs to do to enjoy watching the game is look at who’s beating up who. The viewer will understand concepts like zoning, anti-airing, footsies, throwing, and blocking automatically simply by watching the game. There’s no need to grasp the most intimate technical details of the game’s systems in order to understand what’s going on. Of course, some genres just have an easier time with this than others. It’s certainly easier to keep things simple in a Fighting Game or a First Person Shooter than it is in an RTS or a MOBA. Still, it seems that many developers don’t have the spectator at the forefront of their design, despite setting out to build a competitive game and planning for it to be spectated. Why aren’t developers prioritizing this more in their designs? Good design doesn’t seem to matter. It should, but it doesn’t. Riot doesn’t care that League of Legends is nearly unwatchable for spectators who don’t play it, because, surprisingly, it’s easier to get everyone to play a game than it is to design it well. 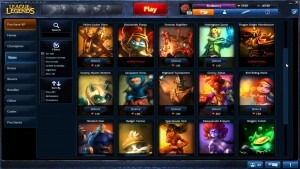 League of Legends is free to play, but Riot makes huge profits from in-game purchases of characters and character skins. That’s a somewhat terrifying thought, but it seems to be true, and that’s Riot’s genius. League of Legends is 100% free to play and anyone can go download the game and play it in a matter of minutes. LoL may not be your favorite game, but it’s accessible, it’s free, and your friends are probably already playing it. It doesn’t matter that other games might be more watchable or well-designed, because while other games might be better for casual spectators, League of Legends is pulling spectators from the 27 million people who already play the game daily. That’s an incredibly powerful fanbase, so much so that it pretty much invalidates the issue of alienating the uninitiated. Who cares if people who don’t play LoL can’t understand watching it when you have a playerbase of that magnitude? What does it say about the future of competitive gaming if good marketing is more important than good design? Is the competitive success of a game dependent on every spectator also being a player? It seems like that shouldn’t be the case… but who’s to say?